I am preaching for my friend Pastor Richard Haley who pastors the Riverside Baptist Church of Hutchinson, Kansas. We had a great service last night. There will be a service tonight at 7, Tuesday at 9:30 am, and Tuesday night at 7! Pastor Haley mentioned there are at least 13 pastors coming and bringing some of their people for the meeting. This morning I was up at 7, had my quiet time, ate a light breakfast and walked 4 miles on the treadmill provided by the Holiday Inn Express of Hutchinson. 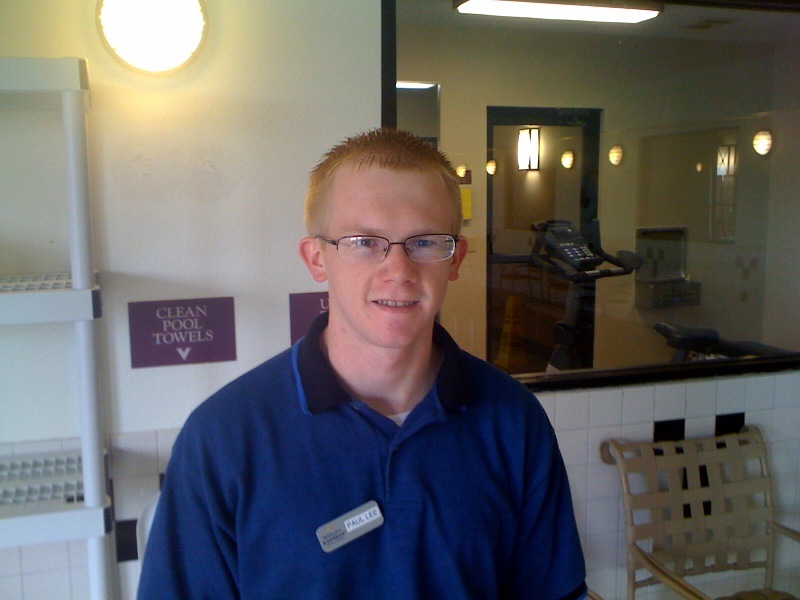 After finishing my time on the treadmill I met Paul Rhoades who works for the Holiday Inn Express. We struck up a conversation and I gave him a church Gospel tract. I explained what the Scriptures had to say about going to Heaven when a man dies. He mentioned that he was a Nazarene and I explained how that Jesus told a religious leader in John chapter 3 that even he, a religious leader, must be born again or he would not even get a glimpse of the Kingdom of God. In a few minutes Paul bowed his head and took me by the hand and prayed to receive Jesus Christ as the payment for all of his sins. AMEN! Gotta love soul winning!